Product prices and availability are accurate as of 2019-04-10 06:05:11 EDT and are subject to change. Any price and availability information displayed on http://www.amazon.com/ at the time of purchase will apply to the purchase of this product. 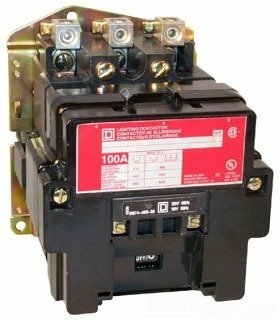 Lighting contactor 600-vac 60-amp NEMA- SCHNEIDER ELECTRIC develops connected technologies and solutions to manage energy and process in ways that are safe, reliable, efficient and sustainable. The group invests in r&d in order to sustain innovation and differentiation, with a strong commitment to sustainable development.